Organigram cut its “all in” cost of cannabis cultivation by 12 per cent in its first quarter of 2019, versus the previous reporting period, due to increased yields and three-tiered growing technology, chief executive Greg Engel said Monday. The New Brunswick-based company also aims to sign an agreement with an extractor to get through its inventory, which is larger than its extraction capacity. “We have $38-million of product right now that needs to be converted into oil. That’s above our capacity today,” Mr. Engel said. For the three-month period ending Nov. 30, 2018, which includes the first six weeks of legal recreational cannabis sales, Organigram’s net revenue jumped to $12.4-million, up from $3.2-million the prior quarter, when medical marijuana was the only legal avenue for the product. “All in” cultivation costs of dried flower equivalent, which include packing and shipping, fell to 74 cents a gram in the first quarter, down 12 per cent from 83 cents the previous quarter, Organigram data showed. Excluding packing and shipping, Organigram’s cost of cultivation fell to 56 cents a gram, down 10 per cent from 62 cents a gram in its fourth quarter 2018, the company stated. Investors are keenly watching production costs of licensed producers as indications for a company’s ability to remain competitive. “Our dried flower yield per plant has been increasing dramatically over time,” Mr. Engel said. With Organigram’s cost of production already low for an indoor producer, Mr. Engel said “I’m not sure how much more we can improve” though the company expects to see increased efficiencies as its production capacity ramps up. Also during the quarter when recreational pot was legalized, Organigram’s number of patients dropped sharply to 13,505 from a peak of 15,730 in the fourth quarter of 2018. Sales of dried flower and oil for the recreational market tallied $9.2-million versus $3.2-million in medical sales, a company report showed. Despite the drop in medical patients, this was unchanged from the prior quarter’s sales of medical cannabis at roughly $3.2-million. 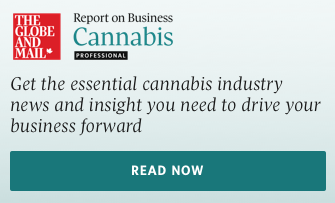 “As a result of the shifting dynamics (launch of adult-use recreational market) it will take a few quarters to be able to fully anticipate the long-term trend of the medical patient count and medical cannabis business,” the report stated. Inventories were high at a value of $91.4-million, up from $45-million in August 2018, in part due to packaging and labelling issues that hindered the amount of product Organigram was able to sell. “We expect to double our Q1 sales as we improve our ability to package,” Mr. Engel said, adding that its automated packaging system is now running at optimal efficiency with the exception of bottling, which still requires excise stamps to be added manually. To make this uptick in sales possible, Organigram is looking to sign an agreement with an extractor to get through its inventory. Organigram is making 40,000 pre-rolls each day, though Mr. Engel said he expects the “overwhelming demand” for these to ease when edibles and vaporizable products are legalized later this year.